LSGPA’s team brings decades of industry experience to the process of growing biotech companies. Our staff consists of professionals from industry and academia with deep expertise in varying aspects of life sciences commercialization, including entrepreneurship, technology transfer, pharmacology, pharmaceutical marketing, biologics manufacturing and engineering. We know how to get things out of the lab and into the early stages of commercialization. 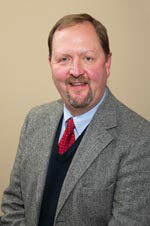 Mel Billingsley, Ph.D., is president and CEO of the Life Sciences Greenhouse, professor of pharmacology at Pennsylvania State University Milton S. Hershey College of Medicine (MSHCM), and professor of biotechnology and entrepreneurship, Penn State University – Harrisburg, PA campus. His background includes rich and varied experience as a researcher, educator and investor, as well as a long history of actively fostering the advancement of technology within the larger community. He has an undergraduate degree in biophysics and microbiology from the University of Pittsburgh, a doctoral degree in pharmacology from George Washington University, and a postdoctoral degree in neuropharmacology from Yale School of Medicine. Contact Dr. Thiboutot Ronald P. Thiboutot, Ph.D., is Executive Vice President of the Life Sciences Greenhouse of Central Pennsylvania. His responsibilities include identifying promising new areas of technology, reviewing science and business opportunities, and investing in early stage opportunities. Dr. Thiboutot oversees technical due diligence of the funded companies and provides technical and business mentoring to funded applicants. Dr. Thiboutot sits on four corporate and one university board and provides interim CEO services for selected start-ups as required. Prior to joining the Life Sciences Greenhouse, Dr. Thiboutot was president of RT Consultants, Inc. which provided technical, equipment procurement, and facility design consulting services to the US and EU pharmaceutical industry. Among his other employers were Wyeth Pharmaceuticals, where he was the plant director of the vaccine manufacturing facility located in Marietta, PA; Bristol-Myers Squibb, where he worked in the international technology transfer division; and Baxter Travenol. 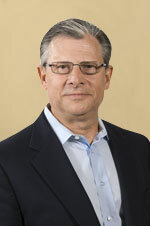 He currently serves as CEO of Pharmateck, Inc.
Dr. Thiboutot holds a Bachelor of Science, Master of Science, and Ph.D. from the Massachusetts College of Pharmacy and has been active in numerous U.S. and international pharmaceutical trade organizations during his 25 years in the pharmaceutical industry. 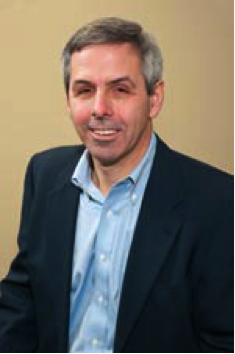 Steve Carpenter is vice president of venture operations at the Life Sciences Greenhouse of Central PA. His principal responsibilities include serving as director or board observer for portfolio companies, evaluating prospective companies and performing due diligence for investment. He provides companies with strategic, financial, and operational guidance and has provided project management support for a regional company’s acquisition of a $15 million life sciences business. Prior to joining the LSGPA, Mr. Carpenter led a State College start-up company to profitability while completing his MBA. He has over 20 years’ experience in a variety of management and engineering positions leading operation start-ups and new product launches at DuPont, Berg Electronics, and FCI USA. Mr. Carpenter also serves as an adjunct instructor at Penn State University’s Smeal College of Business teaching entrepreneurial finance to MBA students and guiding student teams evaluating commercial potential of new Penn State technologies. Mr. Carpenter has a bachelor of science degree in mechanical engineering from Lehigh University and an MBA from Penn State University focusing on venture capital, entrepreneurship, and finance.